The treatment required depends on the severity of the burn. 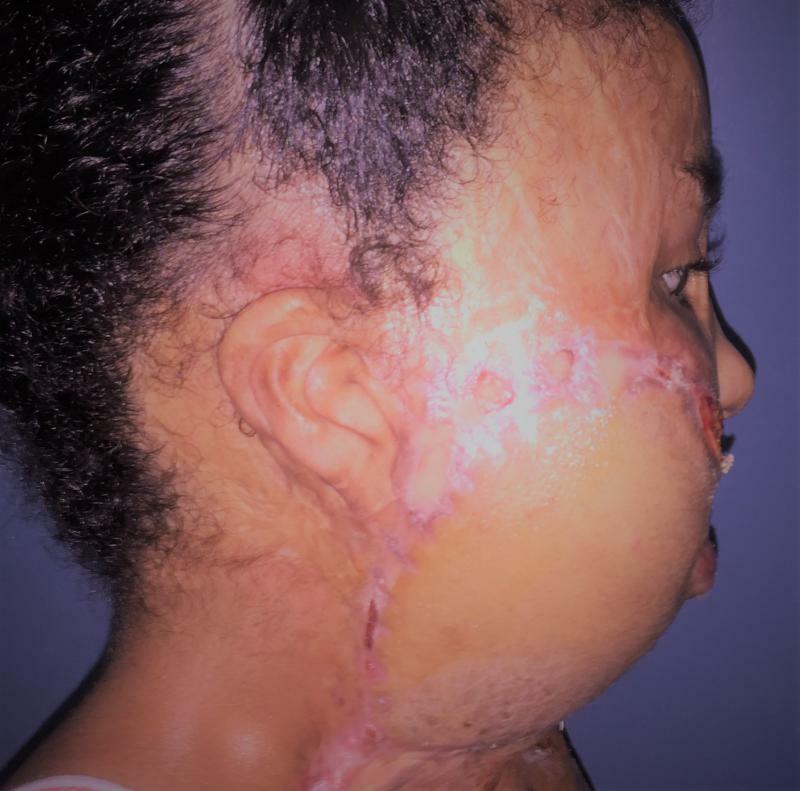 Superficial burns may be managed with little more than simple pain relievers, while major burns may require prolonged treatment in specialized burn centers. Cooling with tap water may help relieve pain and decrease damage; however, prolonged exposure may result in low body temperature. Partial-thickness burns may require cleaning with soap and water, followed by dressings. 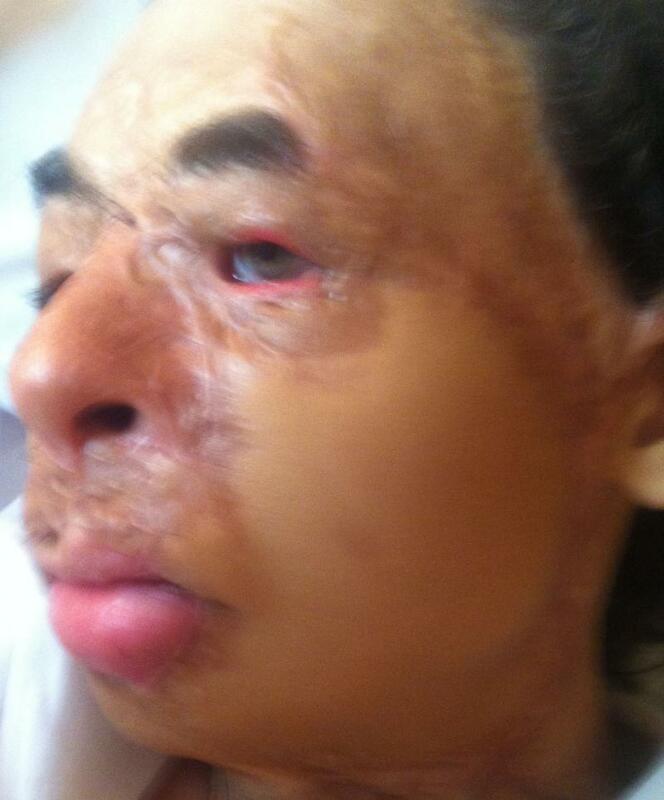 Full-thickness burns usually require surgical treatments, such as skin grafting. Extensive burns often require large amounts of intravenous fluids because the subsequent inflammatory response will result in significant capillary fluid leakage and edema. 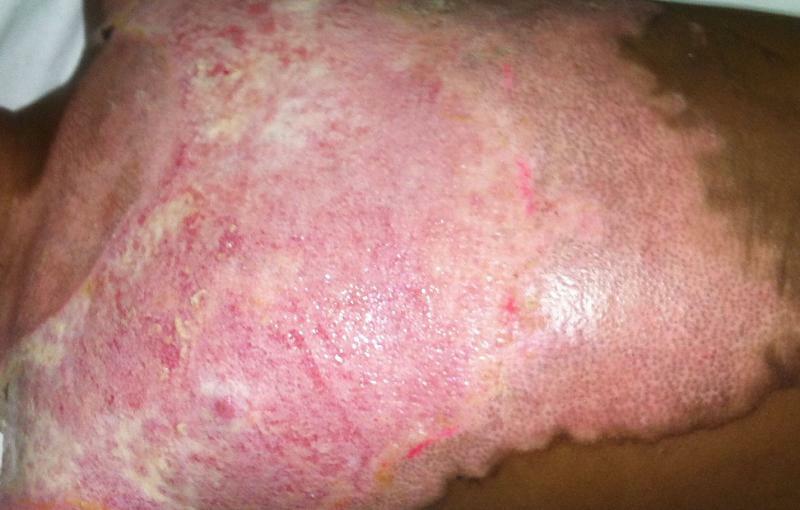 The most common complications of burns are related to infection and scarring. Dr. Wilson has outstanding research on the management of burns, and his article published in 1997 laid the foundations for future research in that topic. 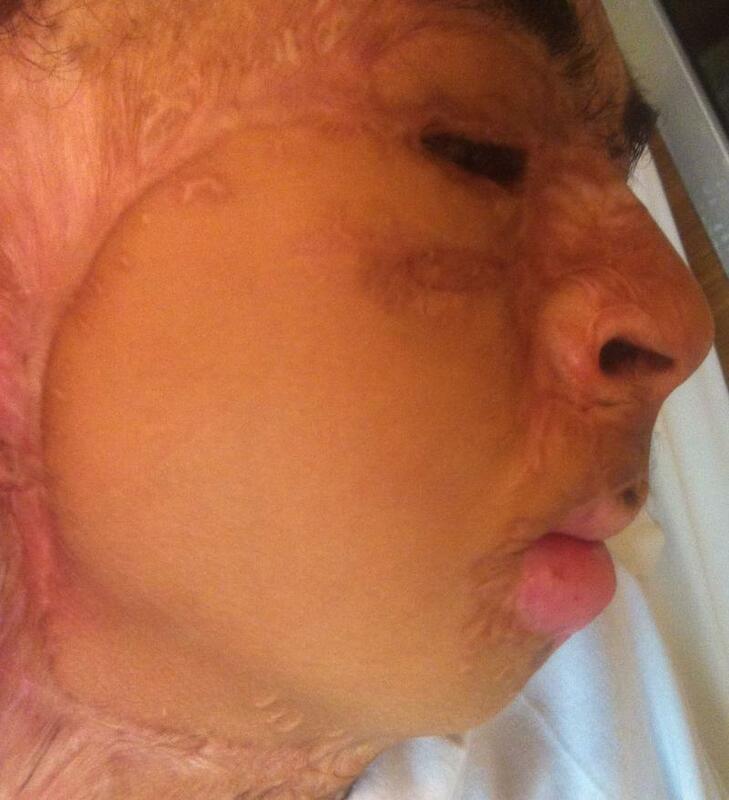 He is a proponent of early excision of burnt tissues, and replacement by tissues with similar texture and colour. Here are some f the major cases treated by Dr. Wilson. 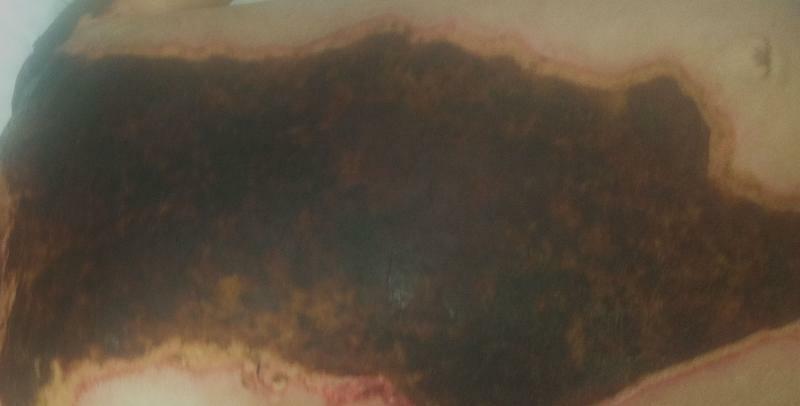 Extensive burn in the trunk of a 1 year old child: Deep eschar was removed and covered, and appearnce while healing is progressing.